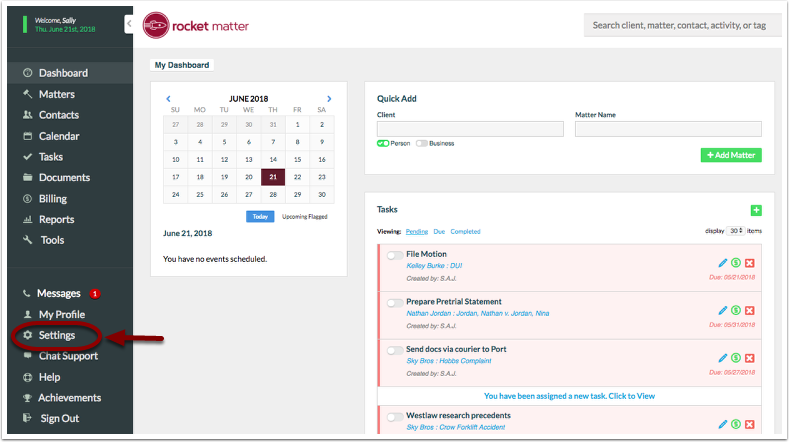 Rocket Matter Knowledge Base Insurance Defense Package - LEDES Billing- NEW!How to enable LEDES Billing. Note: If you don't see this option please contact your account administrator. 2. Click to 'Enable LEDES 1998B' in the bottom-right corner. Note, if you don't see this option to enable LEDES, please contact Rocket Matter Support at 888-432-1529. 3. Click to 'Enable LEDES 1998B' and enter your Firm I.D. Click 'Save'. 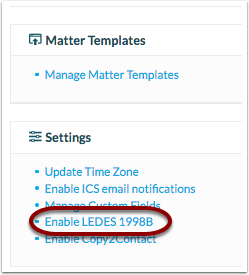 Prev: Setup and enable LEDES Billing - Start to finish! Next: Accepted Task, Activity and Expense LEDES codes.